What is community ownership? 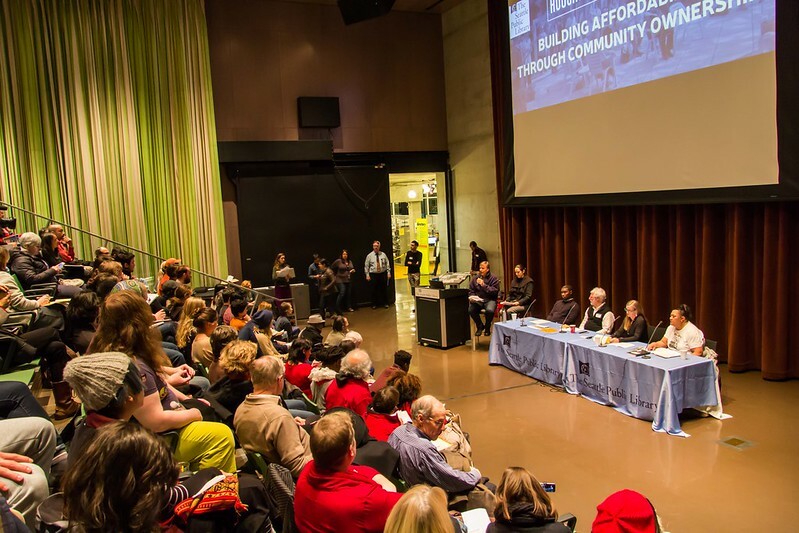 How can we create equitable development and curb displacement? Join us for a conversation with local and national leaders working to build out a vision for community control that allows neighbors to thrive in place. We will discuss the necessary principles for community ownership, and community led strategies to curb displacement. Hear about specific examples where community ownership is taking root in the form of Limited Equity Housing Cooperatives (LEHCs) and Community Land Trusts (CLTs). Interested in learning more? Join us for a daylong workshop. More information and RSVP here. Urban Homesteading Assistance Board: UHAB empowers low- to moderate-income residents to take control of their housing and enhance communities by creating strong tenant associations and lasting affordable co-ops. UHAB has now assisted in the preservation of more than 1,600 buildings (comprising 1,350 housing cooperatives), creating homeownership opportunities for residents of more than 30,000 apartments. Over the years, UHAB has developed a unique expertise in serving the needs of the city's limited-equity co-op community. Today, New York City has the largest number of affordable co-ops in the country. T.R.U.S.T. South LA: T.R.U.S.T. South LA is a community-based effort that works to stabilize the neighborhoods south of Downtown LA, where increased property values and rents have pushed out many long-term residents. T.R.U.S.T. 's mission is to serve as a steward for community-controlled land; to be a catalyst for values-driven, community-serving development; to build awareness and community leadership in issues of housing, transportation and recreation; and to create programs and initiatives that encourage community building and economic opportunity. Africatown-Central District Preservation & Development Association: The mission of the Africatown-Central District Preservation & Development Association is to honor, preserve, promote and develop the legacy and presence of Black Americans and newly arrived Africans in Seattle's Central District as a vibrant community and unique urban experience.